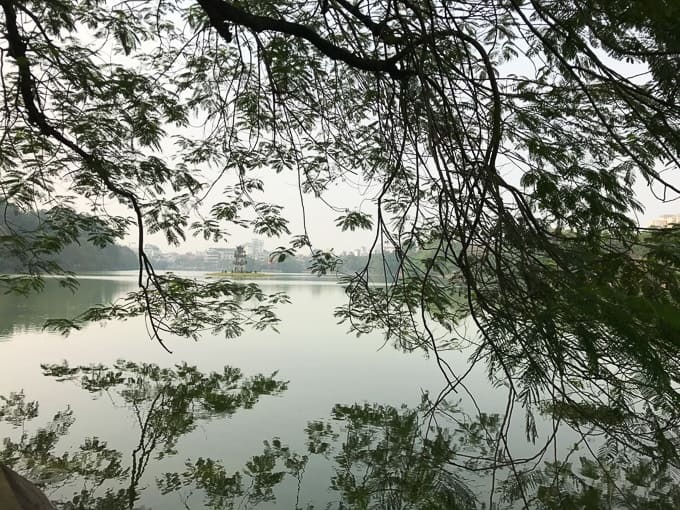 Recapping our five days in Hanoi, Vietnam. 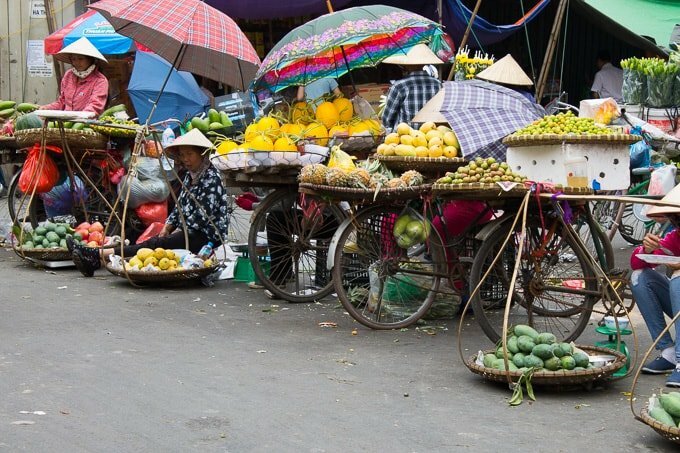 Lots of street food and rich culture. 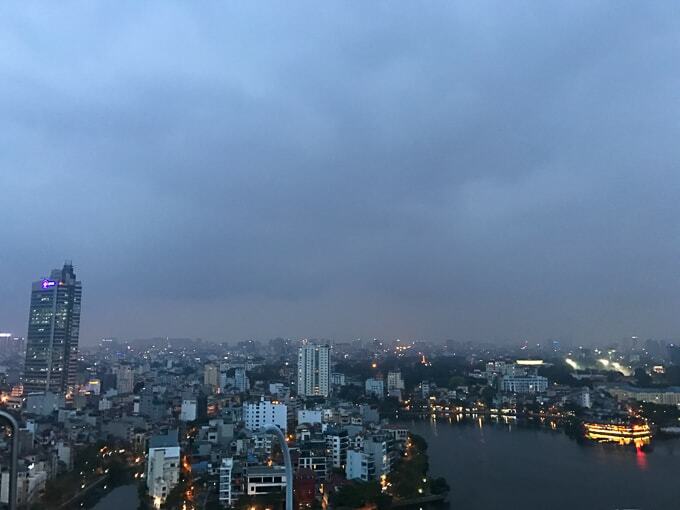 I’m not going to lie when we first arrived to Hanoi late at night, I wanted to immediately hop back on a plane to Laos. Here we were in another bustling city packed with motorbikes that don’t stop for you coupled with the constant background noise of honking. 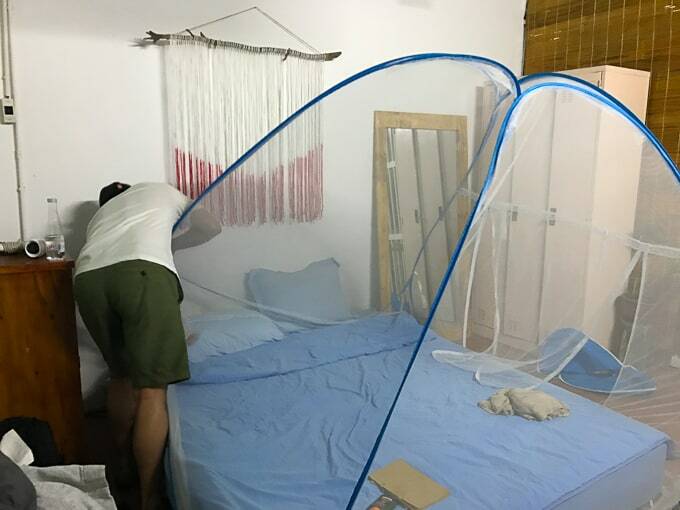 Not to mention our Airbnb situation with a boxspring as our mattress and a mosquito tent that made us feel like we were outdoors camping. But as the days went on, the city bursting with rich culture and old character really started to grow on me. 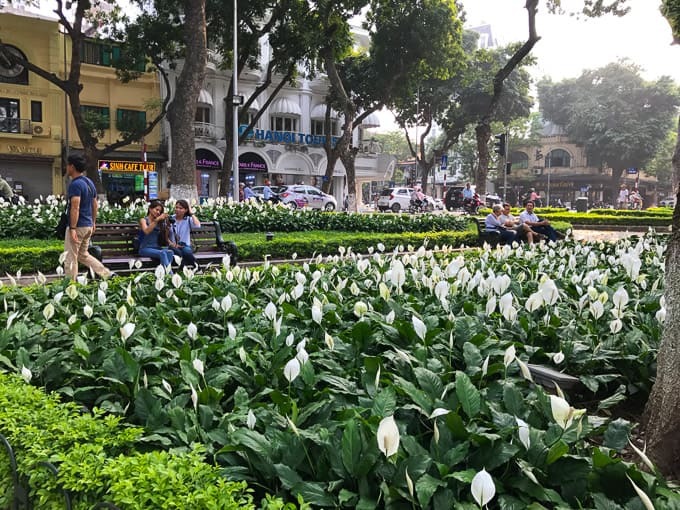 Vietnam’s capital, Hanoi is known for its centuries-old French and Chinese influenced architecture, the narrow streets and trades of the Old Quarter and its street food. 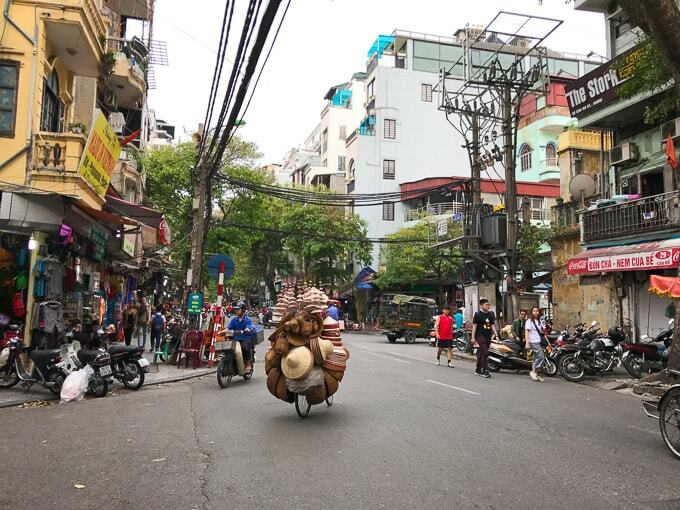 There’s so much to see and eat in Hanoi, you could easily spend a week here. 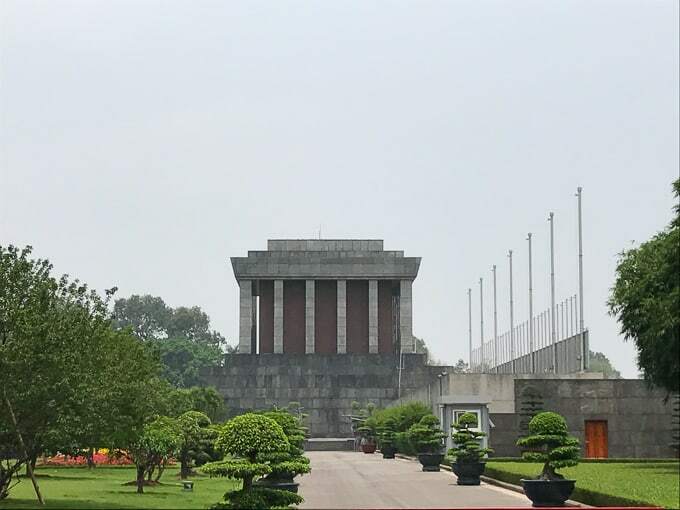 Hanoi is about 3.5 hours from Halong Bay, which is one of UNESCO’s World Heritage Sites and a popular tourist destination so most folks who travel to Hanoi will tack on a trip to Halong Bay, which is what we did, but I’ll save the Halong Bay recap for another post. 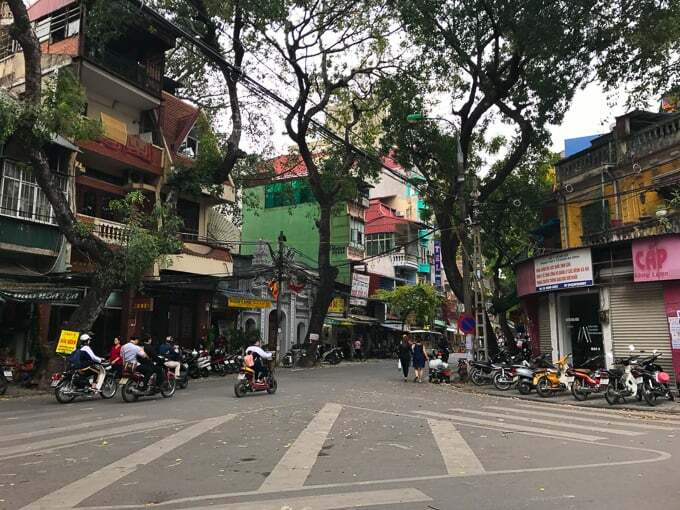 Hanoi was smack dab in the middle of our trip and we were starting to feel the tiring effects of traveling for for a while so we used the first day to slowly ease into Hanoi. We did laundry. 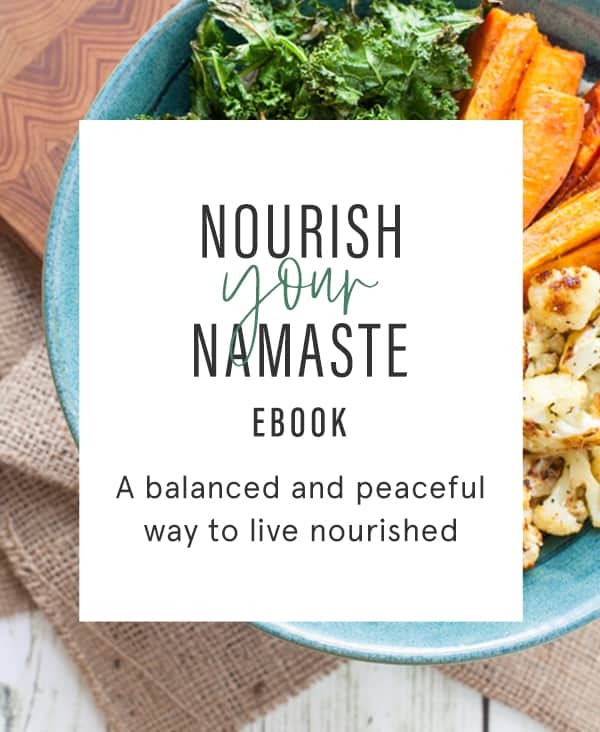 Steve rested because he came down with a stomach bug and I blogged a little bit about a book I was reading over there – The Universe Has Your Back. 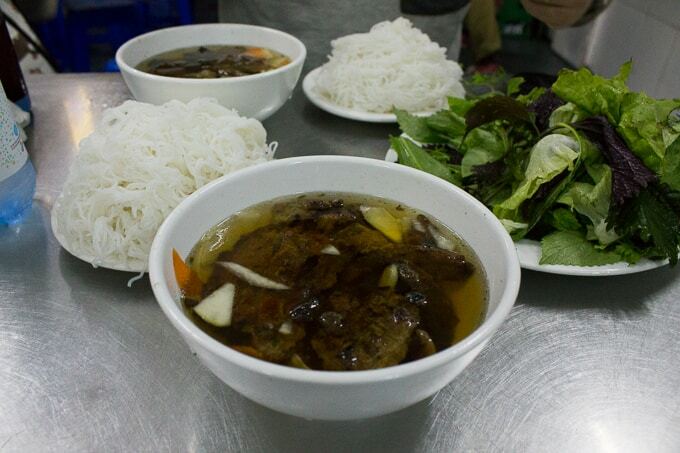 We ate lunch at Cha Ca La Vong, which also happens to be the name of this staple Northern Vietnam dish. 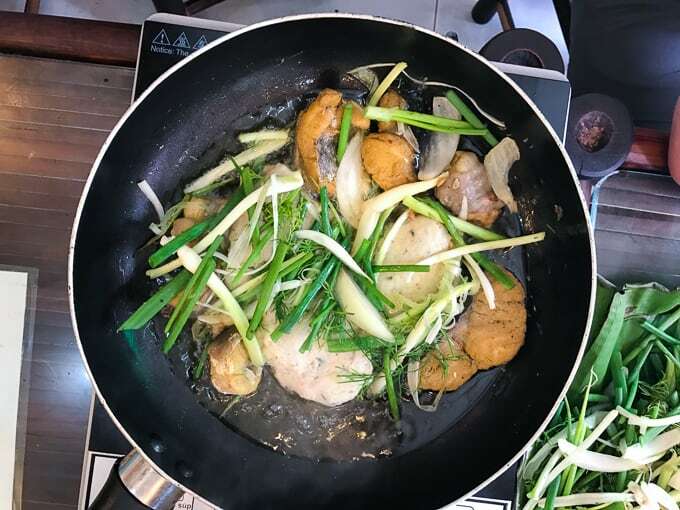 It’s grilled local fish marinated in turmeric, ginger, garlic and shrimp paste and cooked table side with a ton of fresh dill and green onion. 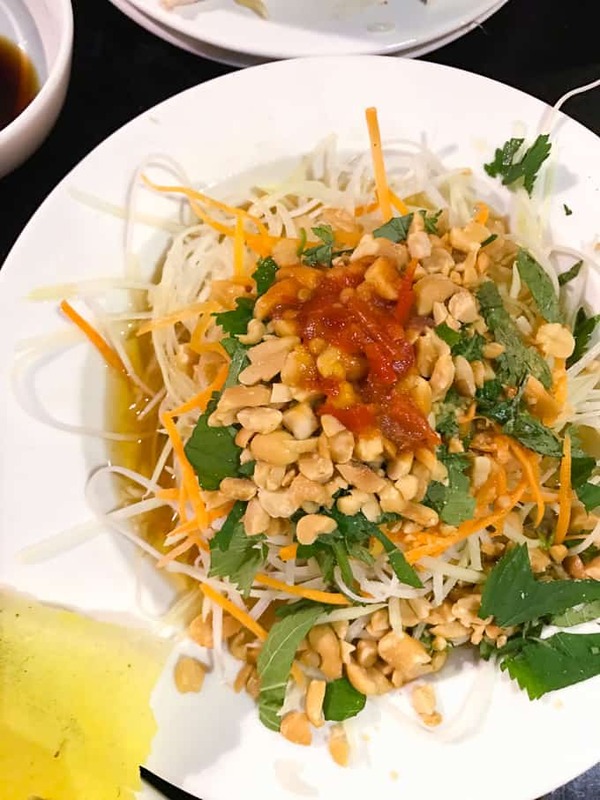 On the table you have your choice of accompaniments: rice vermicelli, fish sauce, fresh herbs, chilies and peanuts. The dish was fine. It didn’t blow me away. 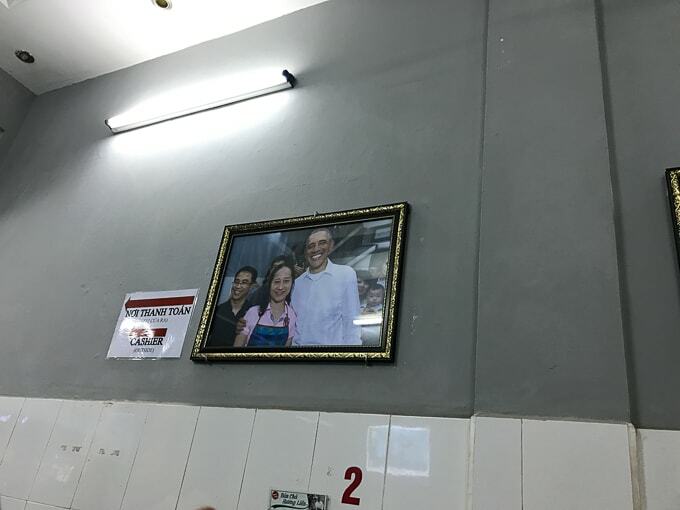 I actually enjoyed it more at the restaurant Cha Ca Thang Long. 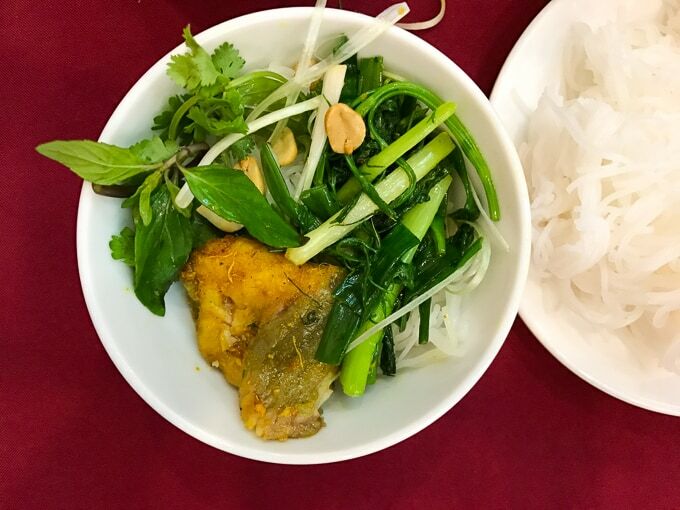 Cha Ca La Vong was the original restaurant who served up this dish but we heard that their quality had gone down in recent years and that the best place to get the dish was Cha Ca Thang Long. It didn’t disappoint. 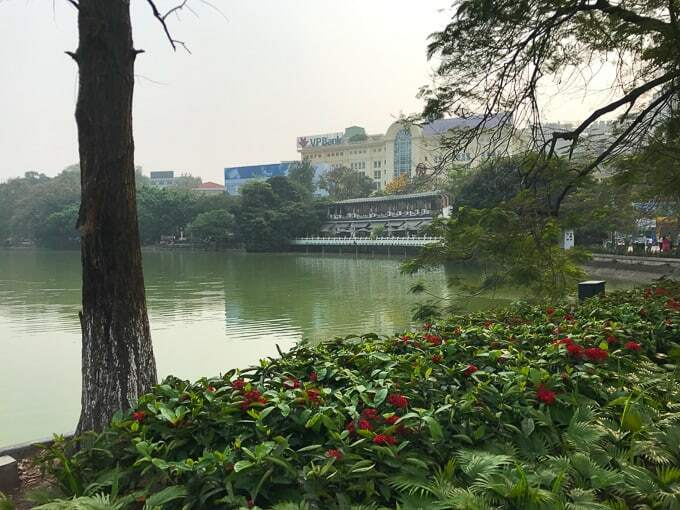 Walked around Hoan Kiem Lake, which is right in the center of Hanoi (close to the Old Quarter) and a beautiful scenic, green spot to retreat to after walking the crazy busy streets of Hanoi. 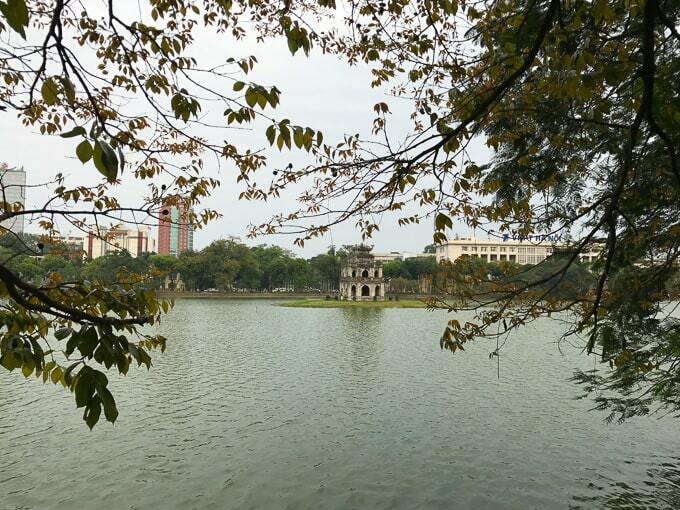 The lake surrounds Ngoc Son Temple, a pagoda built in the 18th century, which sits in the center on a small island. 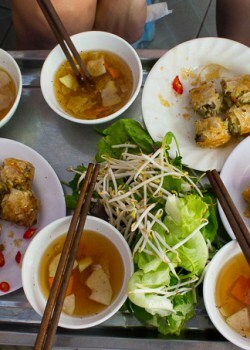 Ate dinner at Hanoi’s outdoor street food court, Quan An Ngon (multiple locations in Hanoi). This place is awesome. 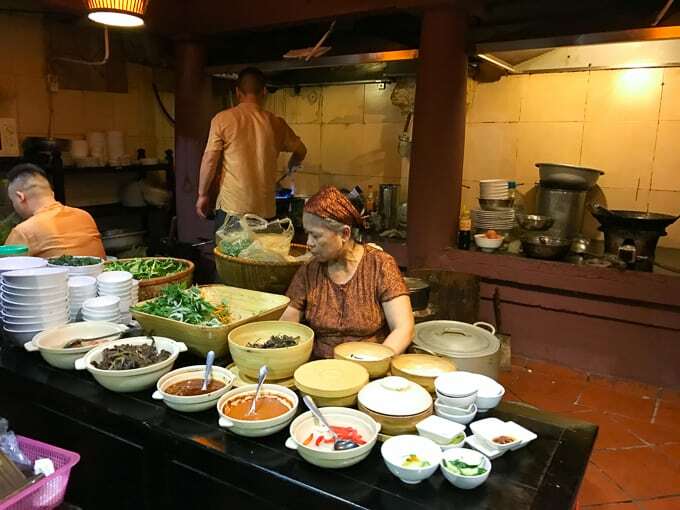 They bring in some of Hanoi’s best street food vendors, add some servers and a menu and you’ve got yourself a street food restaurant. It’s all open-air too, which makes for a pleasant dining experience on a balmy night. I liked this place because it allowed you to try different types of street food at once. 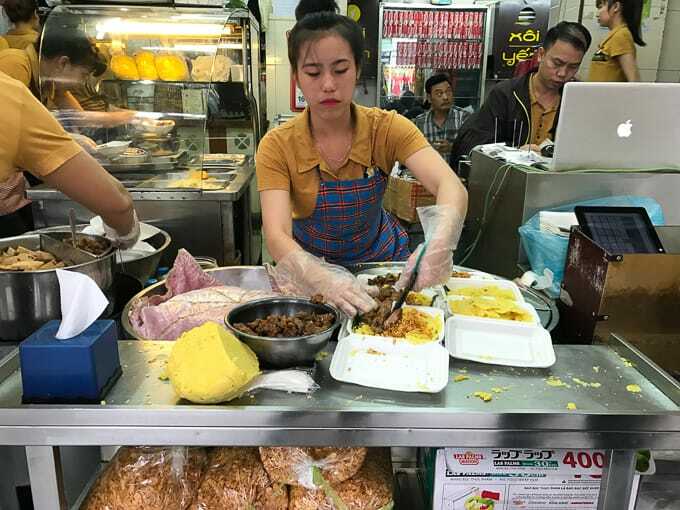 Whereas, if you go to street food vendors, they only make one dish so you’d have to do a street food crawl or tour to try multiple things at one meal. 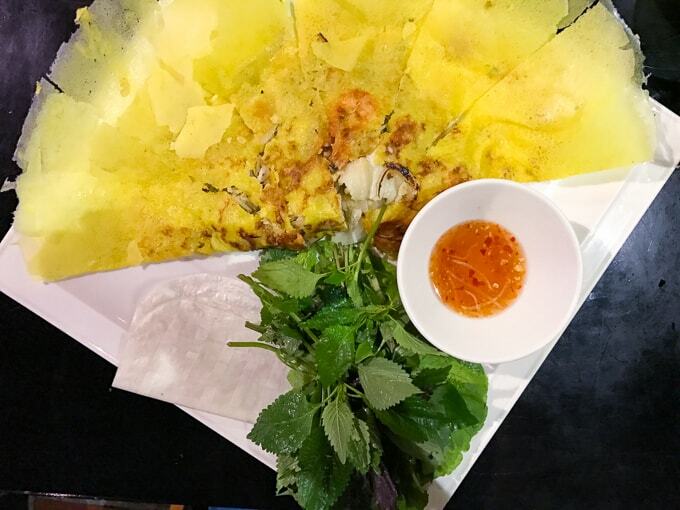 We tried banh xeo, a Vietnamese-style crepe made with rice flour, turmeric and scallion is traditionally filled with pork, shrimp and bean sprouts and served with a sweet and salty dipping sauce (nuoc cham). Papaya Salad made with green papaya, tomatoes, peanuts, and Vietnamese fish sauce. 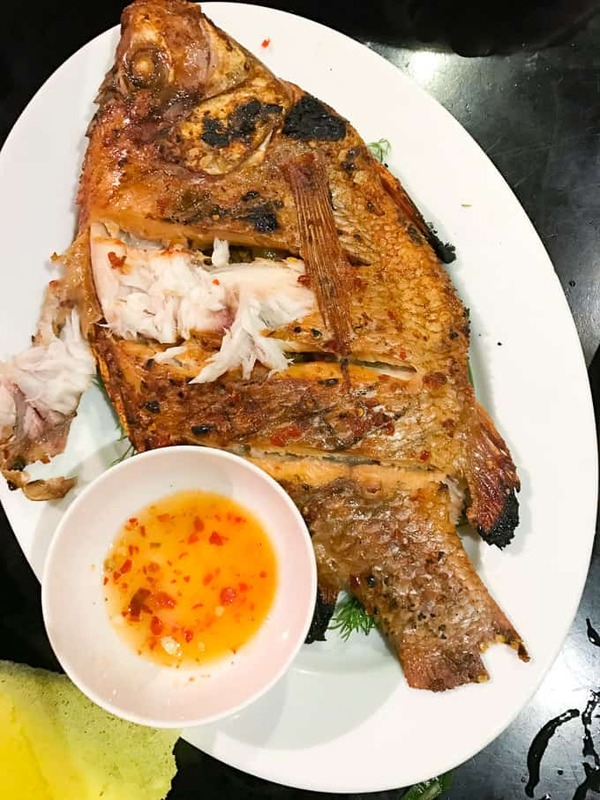 Grilled red snapper Xoi Xeo, which is sticky rice made with mung bean, turmeric and fried shallots. 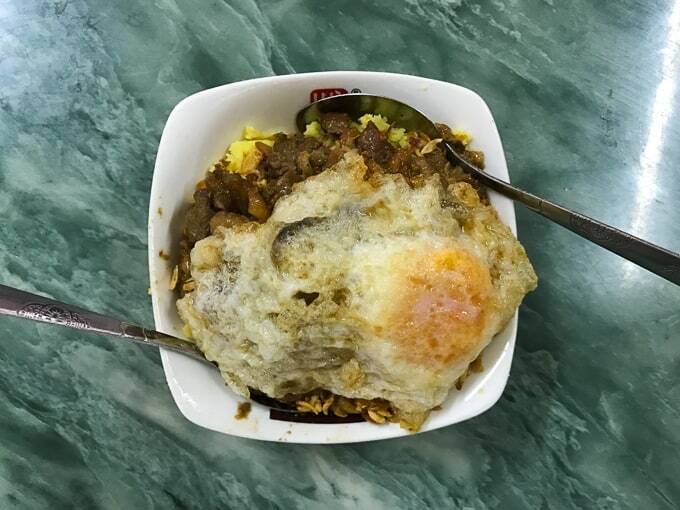 Often served with grilled meats or fried egg. Went to Halong Bay for a one night, “two day” cruise, which is really a 24-hour cruise. I’m going to write a separate post recapping our trip to Halong Bay! 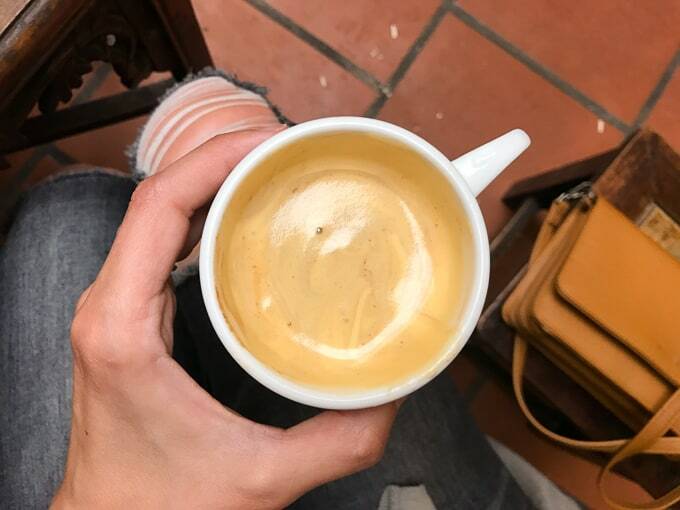 Got back from our Halong Bay cruise late afternoon and explored the Old Quarter a bit and sought out some of Hanoi must-eats like egg coffee at Giang Cafe. 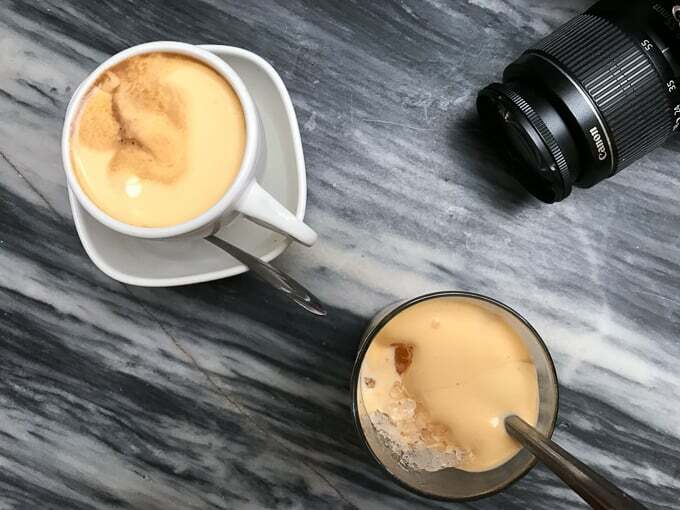 You can read more about egg coffee on my blog post about the Vietnamese coffee scene, where I share my recipe for Vietnamese Iced Coffee Ice Cream. Found some delicious little donut holes which she said were filled with “green beans”, which I later learned meant mung beans. Mung bean donuts sound much better than green bean donuts. Tried Xoi Xeo from popular street food vendor, Xoi Yen. We ordered ours with corn and it was mostly corn, not a whole lot of rice. Plus, Steve found a chipped finger nail in it and then neither of us really had the appetite to continue eating lol. 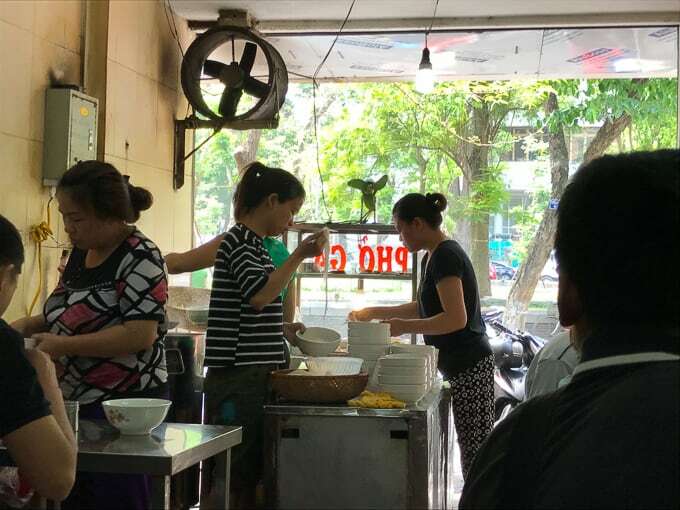 That’s the one thing about eating street food in Vietnam – you have to play the denial card to the sanitation standards (or lack there of) around you. 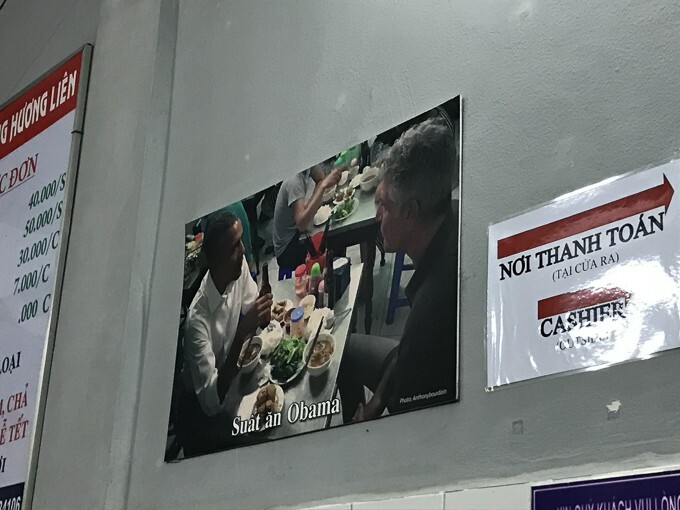 Ate dinner at Bun Cha Huong Lien, because Obama and Bourdain did sooooo you know it must be good. 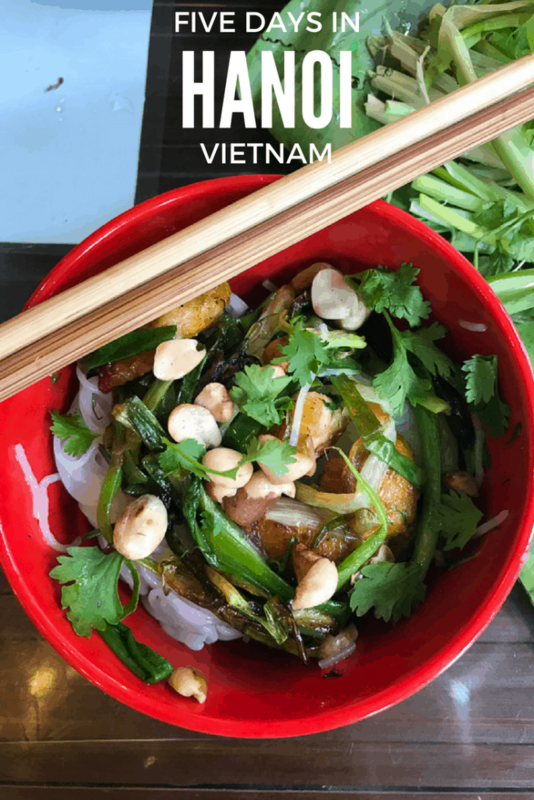 Like most street food vendors, they’re a one trick pony and just make bun cha, Vietnamese grilled pork served over vermicelli (bun) with fresh greens/herbs and dipping sauce. The dish was surprisingly sweet. Steve said it tasted like a Big Mac and I had to agree with him lol. 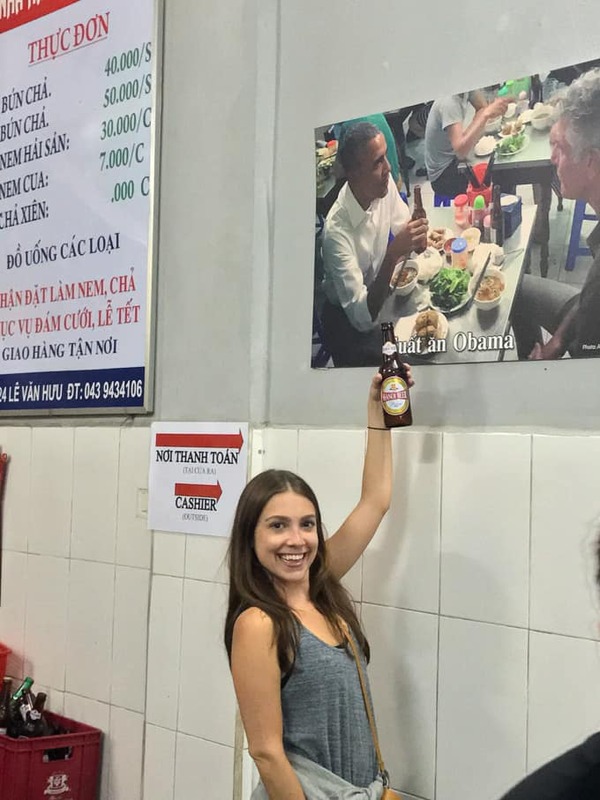 I also had to get some shots with my main man, Barack while I was there. 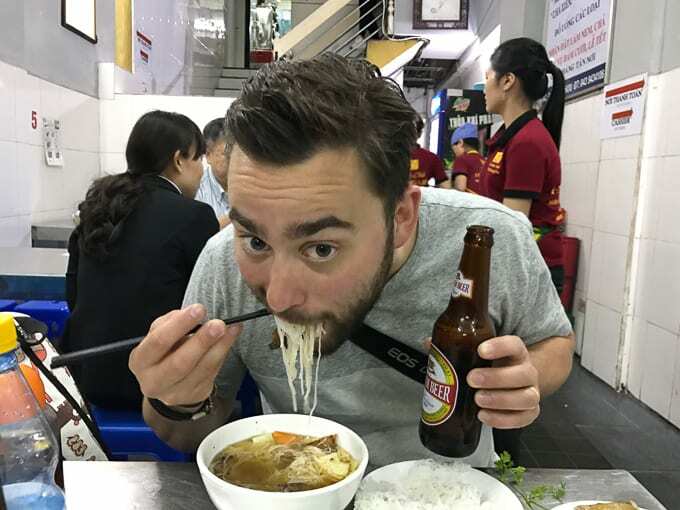 Went on the best street food tour in Hanoi <— you can read all about the delicious eats here. After the tour, Mark, our tour guide, dropped us off in the center of Old Quarter so we explored this area for a couple hours. It’s pretty amazing. 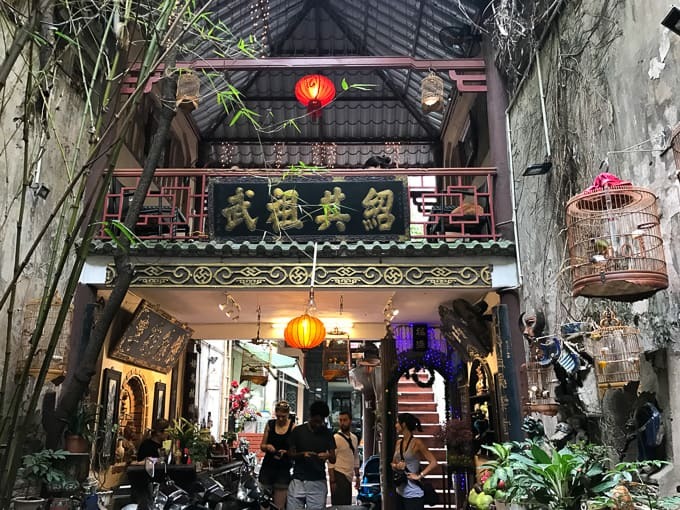 Narrow streets characterized by trade. 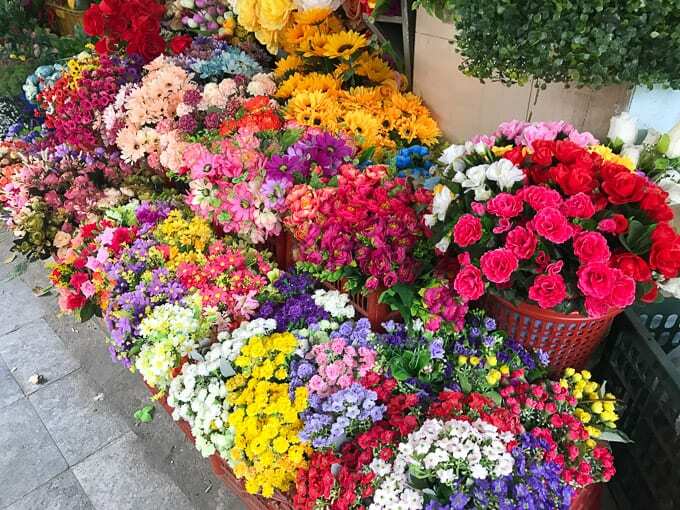 So one street would sell only flowers, while another street would sell paper goods, and another statues. Pretty wild. 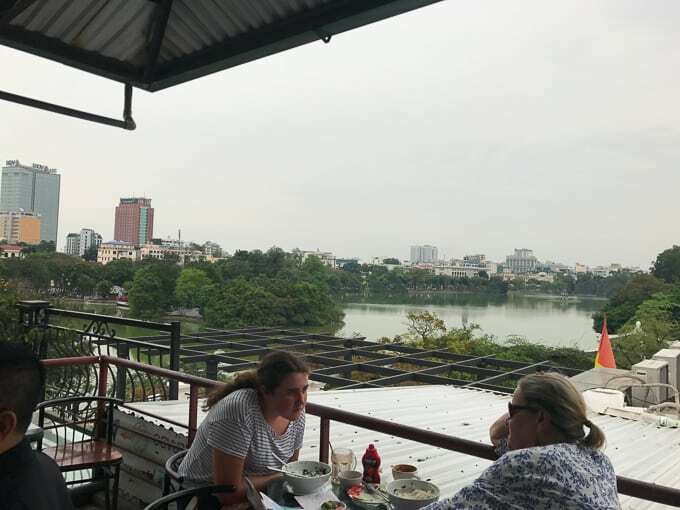 Stopped for a coffee at Cafe Pho Co, which some travelers recommended to us. 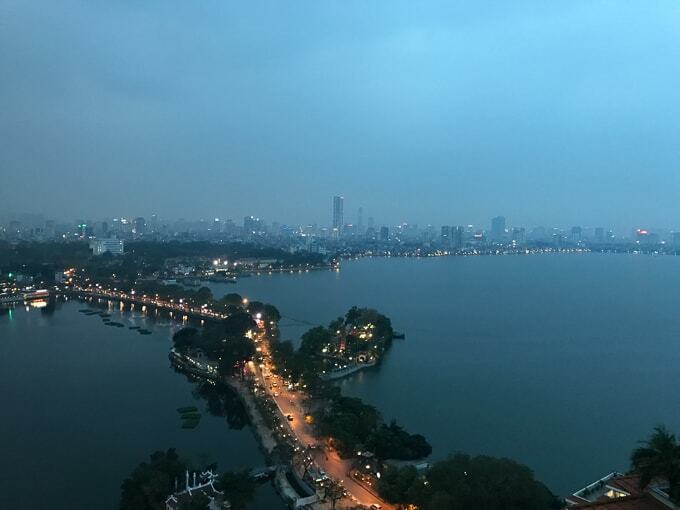 You can climb up four flights of a winding staircase to reach their rooftop patio, which has beautiful views of Hoan Kiem Lake. 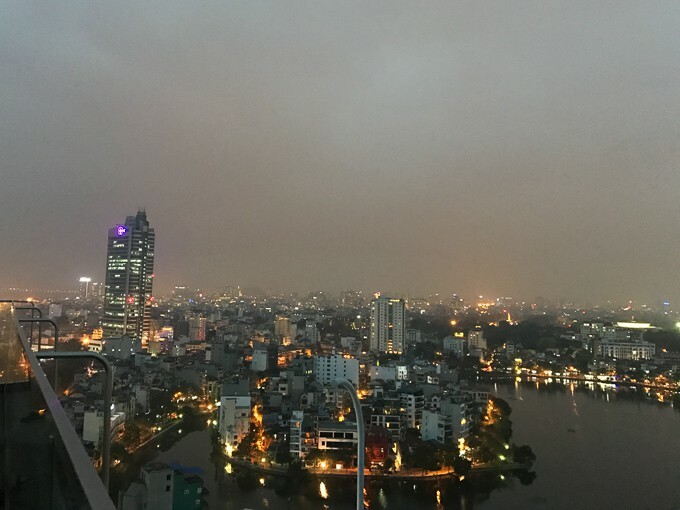 That night, we went to the Summit Lounge in the Sofitel Hotel, which Mark recommended for its views of the city. 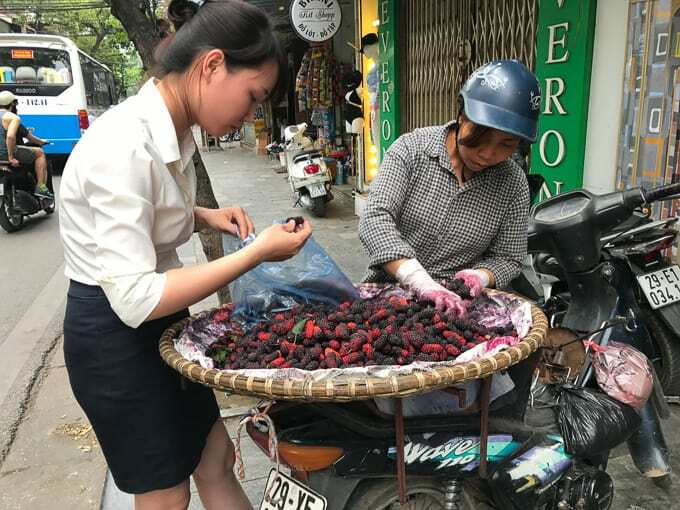 It’s pricey for Vietnam standards but pretty normal for U.S. standards. The views are worth it though and they have an outdoor rooftop lounge that’s beautiful on a nice night. 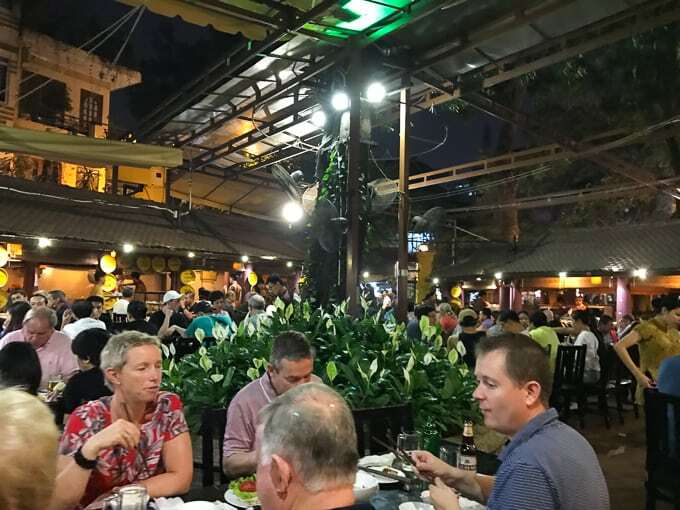 Dinner was at Quan Kien Restaurant, also recommended by Mark. 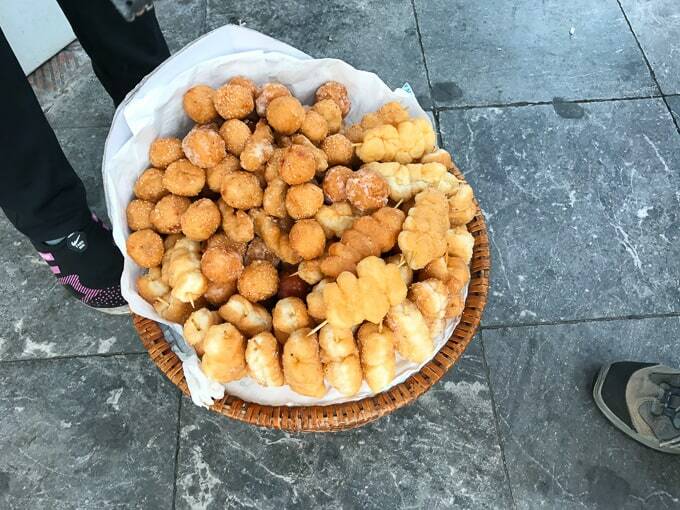 That’s a bonus of booking a street food tour with them, they tell you all the places to check out afterwards! 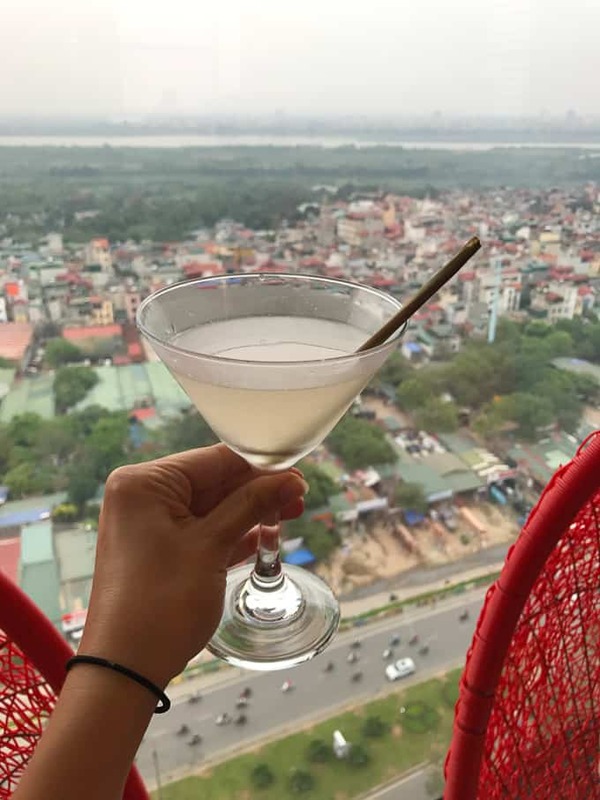 Even if you’re traveling to other cities in Vietnam, they’ll give you recommendations for those places as well. 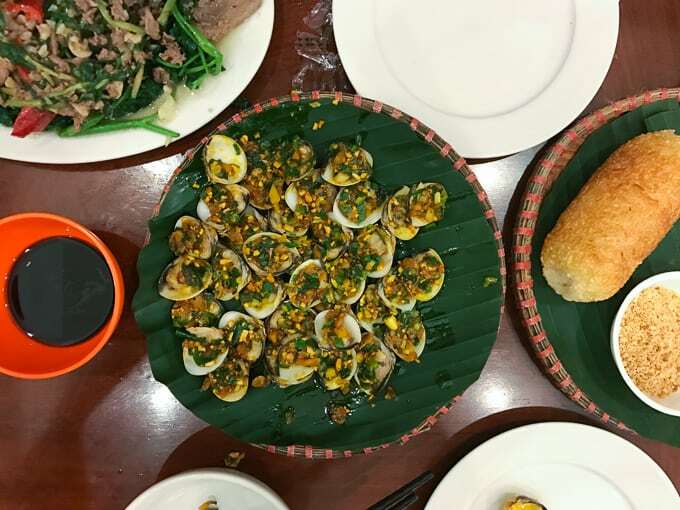 Quan Kien is a nicer sit-down restaurant. Mostly locals. 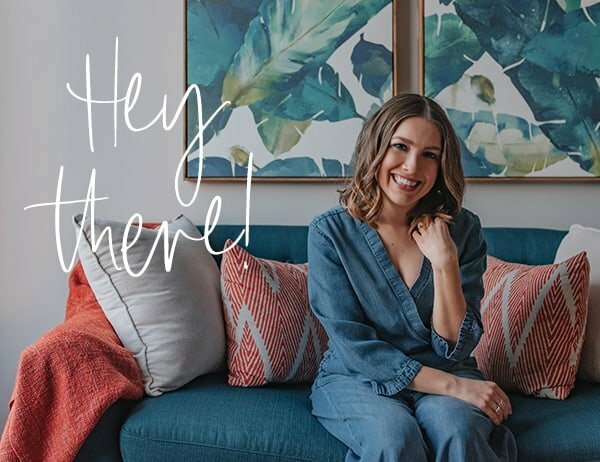 You sit on pillows on the floor with low tables. The food was amazing. The atmosphere a little chaotic. But it could have just been the night we were there. There were multiple large groups with young kids and the kids were running and playing and screaming all over the restaurant. It was pretty comical, actually. I had clams with lemongrass, morning glory, and Steve had a stir fry dish. 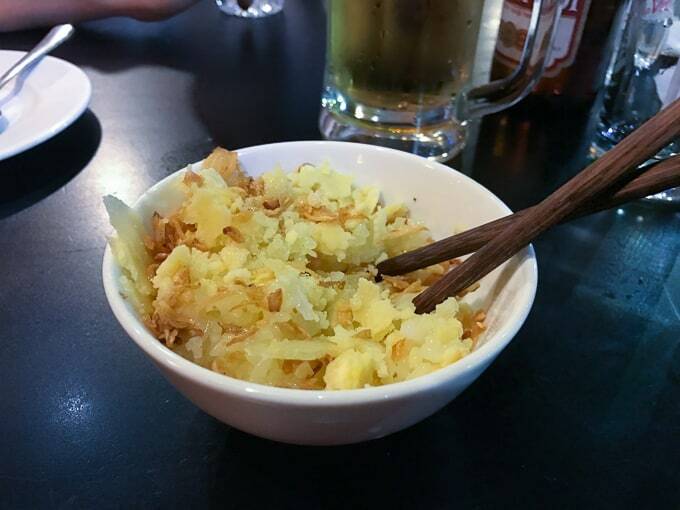 We split deep fried sticky rice (fried in pork fat) and served with some delicious salty topping. 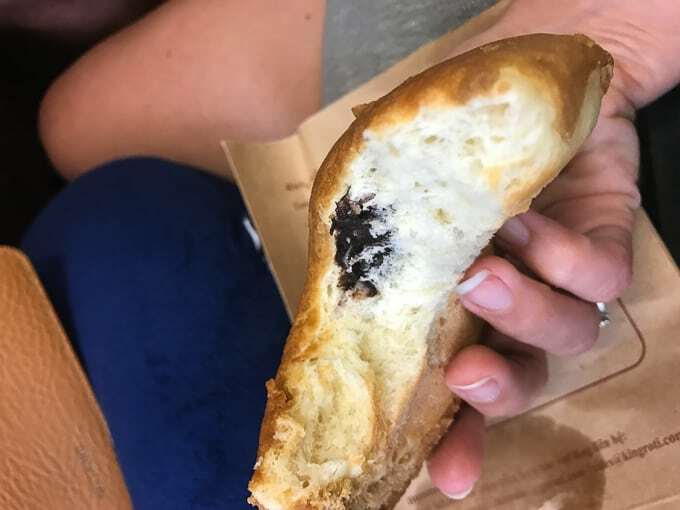 It was crunchy, salty and delicious. It was our last night so after dinner we met our friends from our street food tour at the Unicorn Pub, which Mark recommended but I’d also read about on my friend Rachael’s blog. 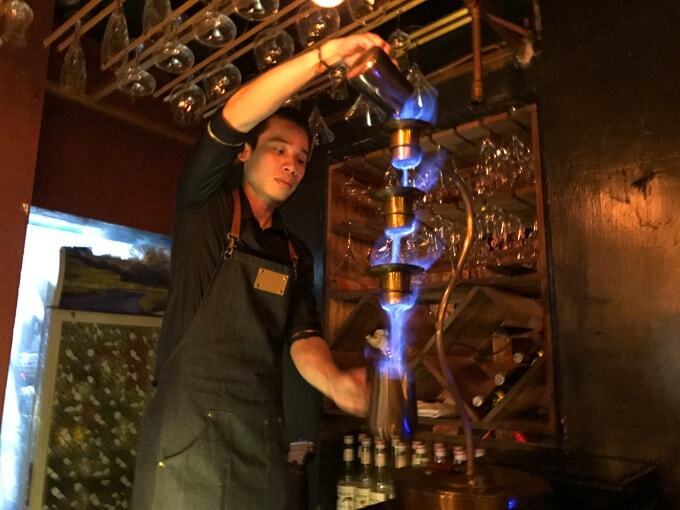 They’re known for their pho cocktail, which I’m sorry to say does not involve noodles, but it does involve a spectacle of lighting it on fire. The bar had a cool vibe – lots of tourists and expats – and they had live music too. An Australian dude (or maybe he was British? lol) with his guitar and microphone. We took one of Mark’s recommendations for pho (which I also learned is pronounced “fuh”) and went to Pho Ga in the morning. 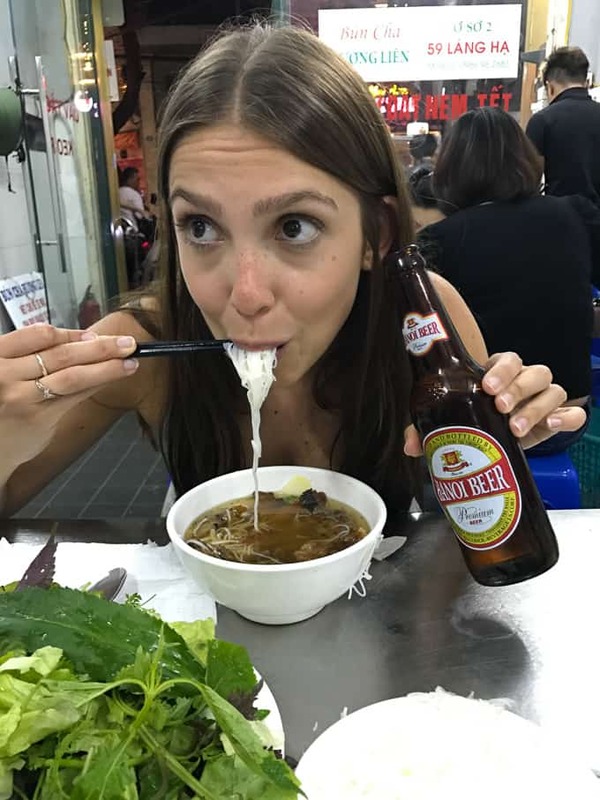 I never thought I would eat chicken soup for breakfast but when in Vietnam! I was surprised at how much I enjoyed it in the morning. There was something about starting the day off with a comforting, warm, nourishing meal. It was a very mild dish (although there were chiles on the table to add if you so desired). 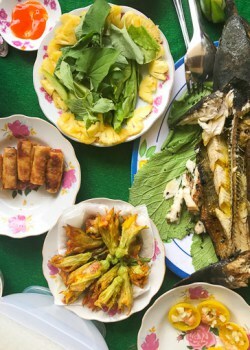 Overall, the food in Vietnam is very neutral – lots of clean flavors, fresh herbs, very light. They’re food isn’t inherently spicy like some my assume (that’s Thai food); instead, they give you the option to add spice as you desire. 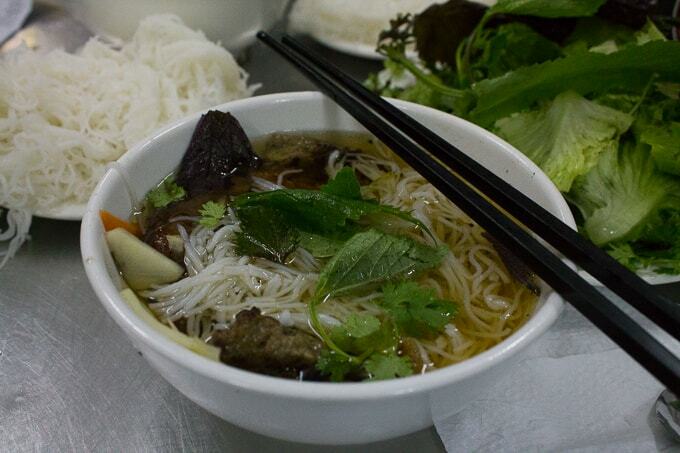 And northern Vietnamese pho differs from Southern pho. 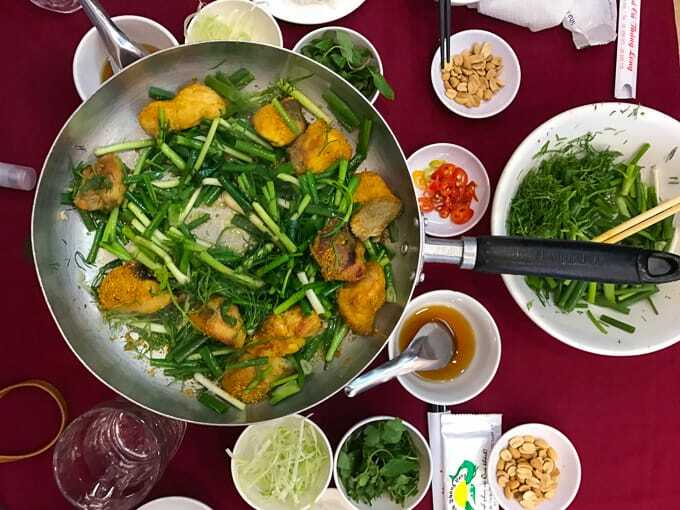 Northern is left unadorned while pho in the South is piled high with bean sprouts, fresh herbs and condiments. 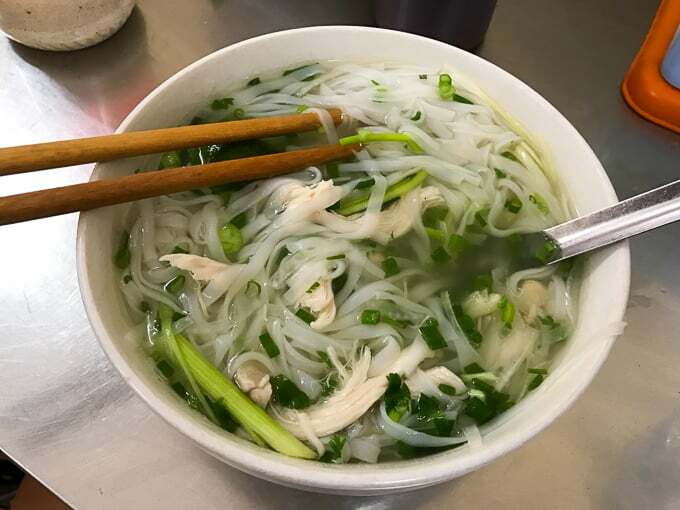 This Northern pho was chicken broth, some green onion and noodles, and a squeeze of lime. Perfectly simple. 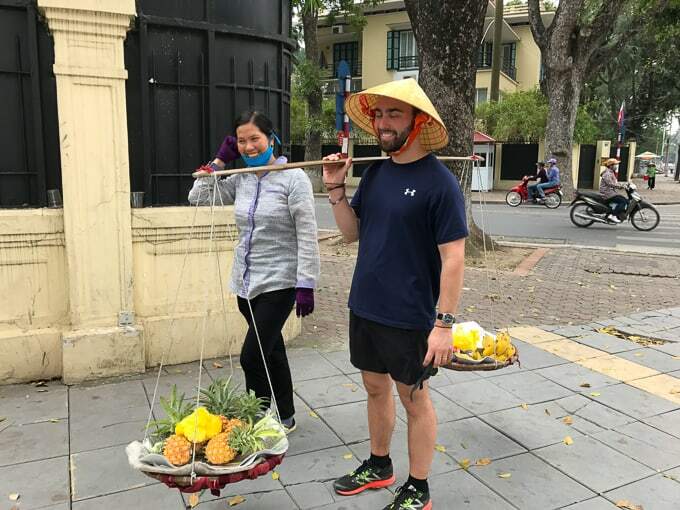 If you’re interested in learning more about the food culture in Vietnam, check out my Food Network piece! 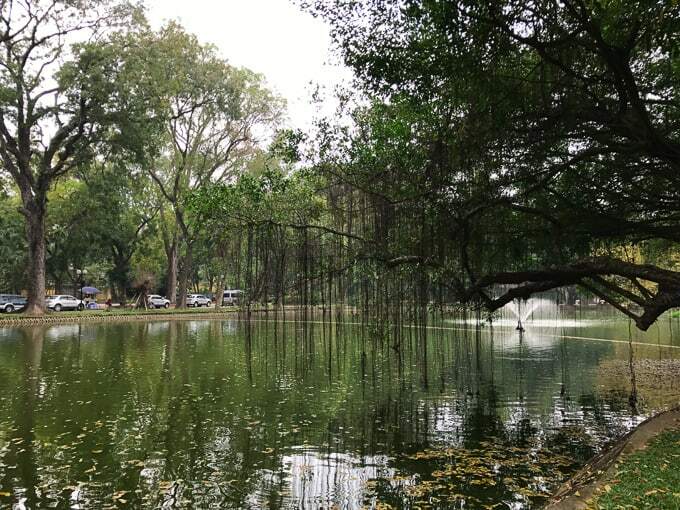 We then walked over to the Hanoi Botanical Gardens, which was so beautiful and serene and well worth a visit. 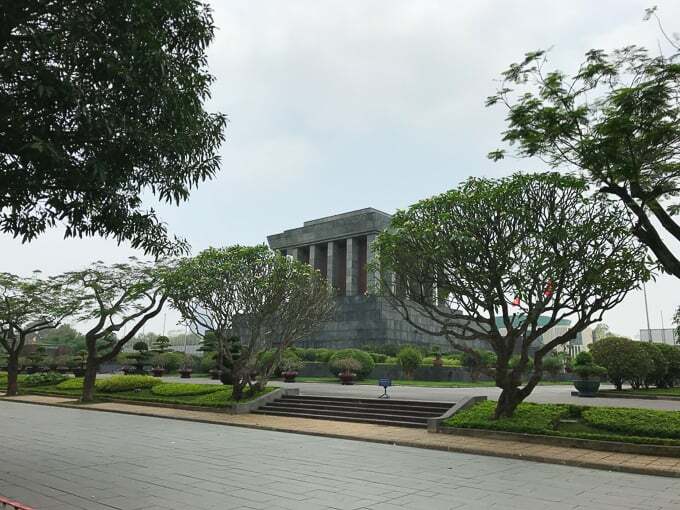 Walked over to Ho Chi Minh Mausoleum but it was closed. It’s only open until 8-11am so be sure to get there early. Still got to snap some pics though! Walked through the French Quarter to get to lunch. 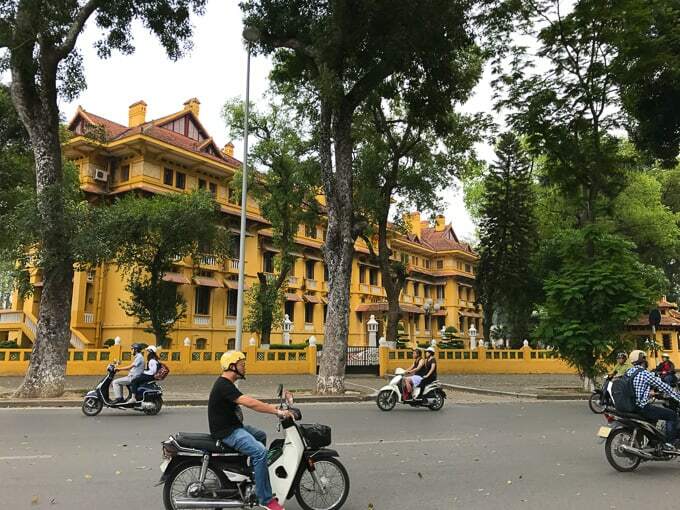 It’s a beautiful section of Hanoi which houses the city’s foreign embassies, government buildings, affluent residences and luxury hotels. Also home to this woman who thought it would be really funny if Steve posed with her baskets of fruit. It was. 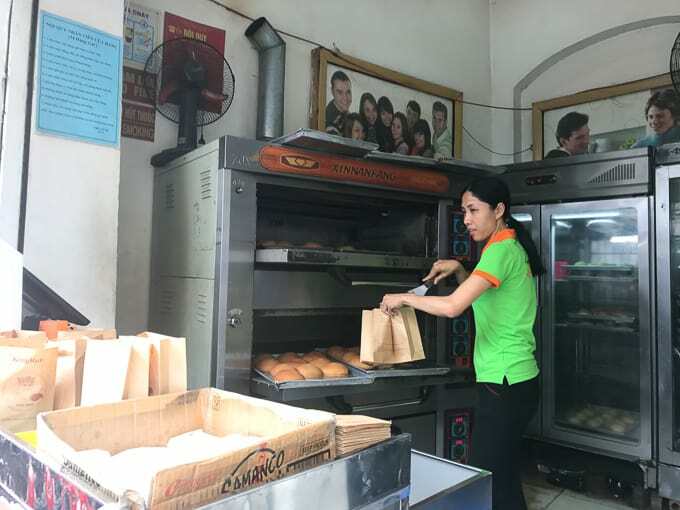 Grabbed lunch at Cha Ca Thang Long and a chocolate filled roti at King Roti street vendor to go to bring as an airport snack on our way to our next stop, Hoi An. Next up, a recap of our cruise in Halong Bay! 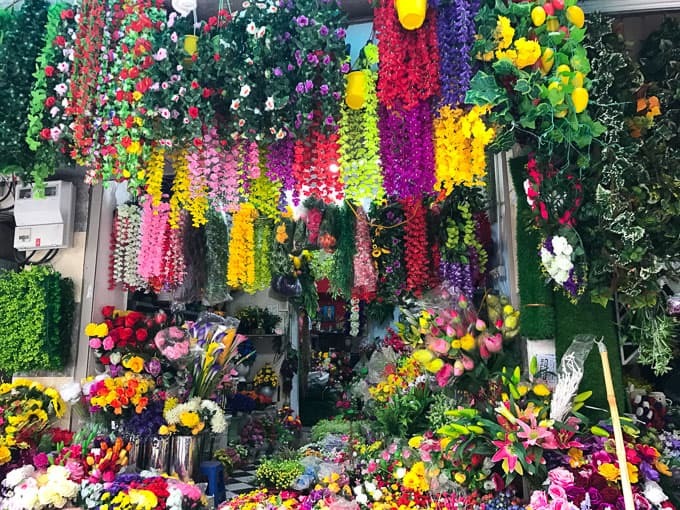 For more Southeast Asia travel posts, check out the posts below! 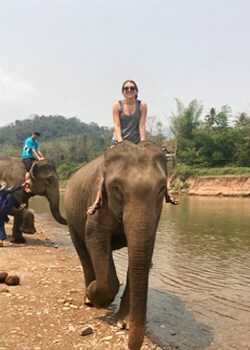 What an adventure, Kara! 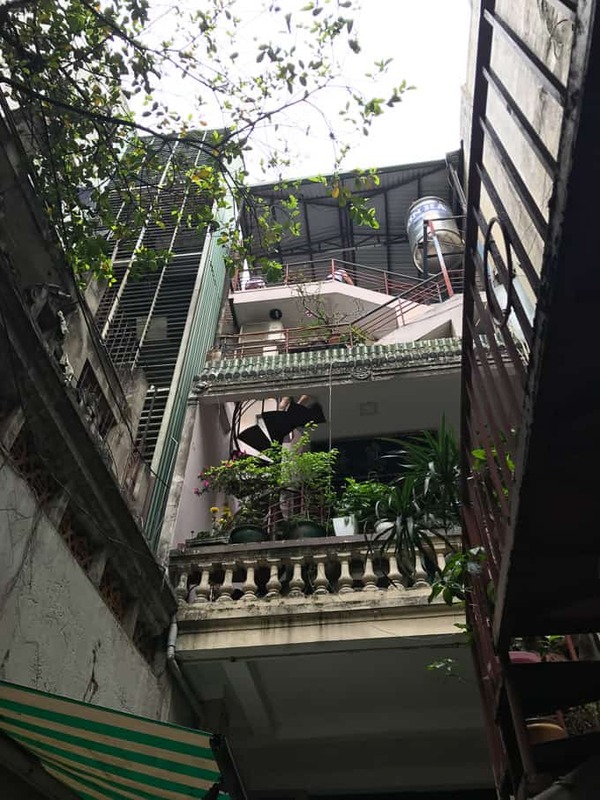 I loved reading about the food and other experiences you had in Hanoi. Must put it on my bucket list! Wow! I wouldn’t know what to do first. I’m liking the food market that lets you eat more than one thing at a time- could never pick just one thing. It’s a little overwhelming at first, but I just loved it. 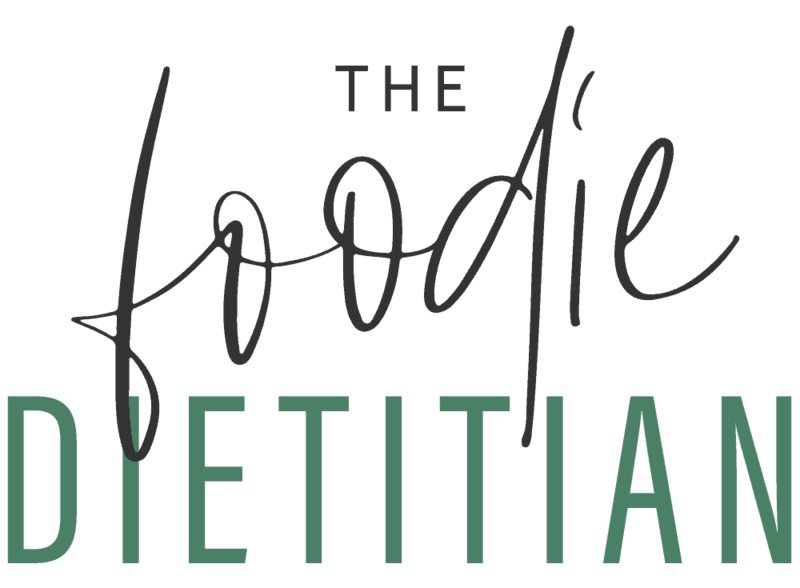 So many fabulous food options!